In a game as big and complex as No Man’s Sky, some things are bound to go wrong. Some players in this vast virtual universe have been running into an unusual problem: their ships appear to be shooting themselves. 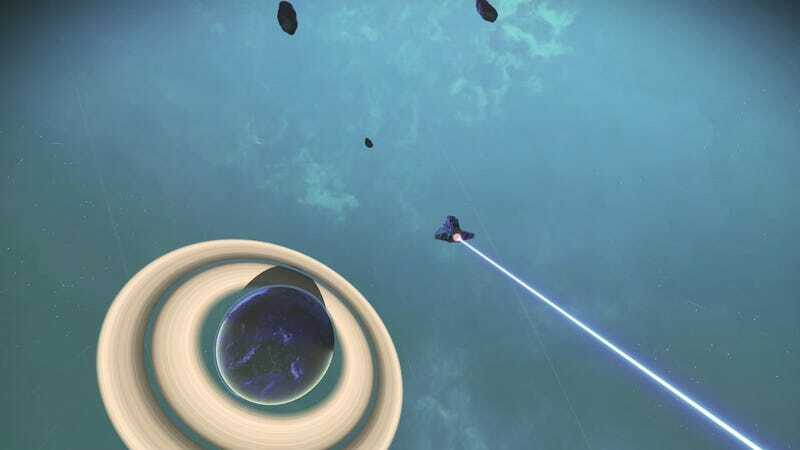 While this seems pretty annoying if you’re on the run from pirates or being chased down by sentinels, Hello Games has been fixing bugs and releasing hotfix patches at a steady clip since the Next update. Hopefully this one get patched out soon so every player can have the Star Wars-y space battles they’ve been dreaming of.